The 35th Warlock’s Journal is upon us here at Tiny Gork. This time it’s gonna be another picture, a “who am I?” contest. 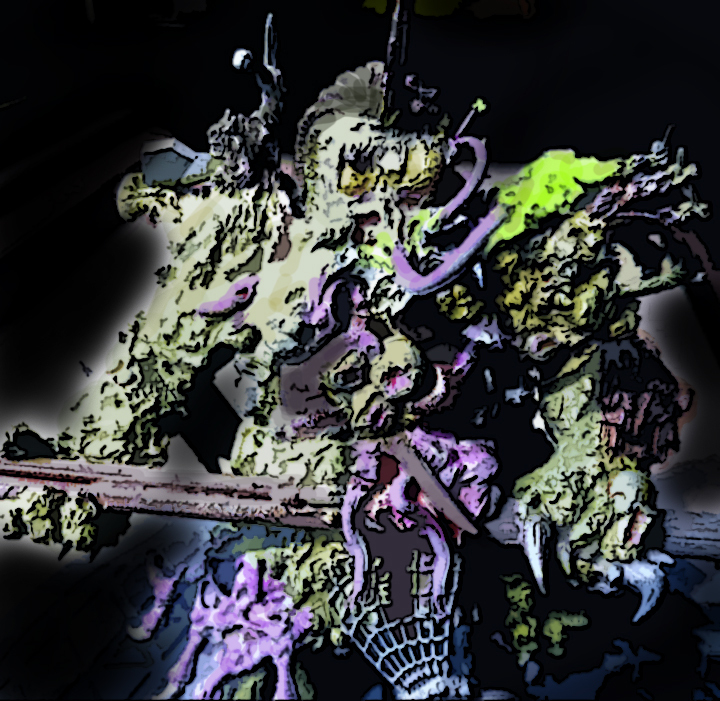 I love those picture contests, almost as much as i enjoyed that little word play we had here last time Tiny Gork hosted. You now have the chance to create a monster, villain or any other kind of NPC! But it can be anything you fancy! The winner will be chosen by me and an annonymous council of mysterious outsider judges, this council is in total three judges for that cruicial tie breaker. Exciting! I can’t wait! So… Who am I ? Where is it from or how did it come to be? What kind of god does it worship? As usual, no system specific stats, we are looking for the interresting fluff behind the picture not the mechanics. You can win a sponsored PDF Copy of “Crimson Dragon Slayer” by Venger Satanis an OSR/Fantasy self contained game system that is not d20. “mostly compatible with the original fantasy roleplaying game and all the clones published since. You roll multiple d6s, the higher the better, relying on improvisation more than defacto results. There are several classes and many races to choose from. Also, strange yet eerily familar spells, magic items, monsters, and the mother of all name generators! Entries must be max. 1000 words. Entries must be sent by email to gork@tinygork.com with the subject “Warlock’s Journal #35 entry”. Each contestant can submit 3 different entries. Entries must be submitted by 25th of October. Any kind of mechanics and stats are disregarded. Winner will be announced on the 1st of November. Winner will be contacted directly by email. Winner will recieve a PDF of “Crimson Dragon Slayer”, sponsored by Venger Satanis. Next post: Warlock’s Journal Winner!